Comment: Dvd(s) might have light marks and art may have light wear, but tested and plays or your money back. Looking for a new home, is it yours? Eligible for Free 2-day Prime or free Super saver shipping. All orders ship fast from the Amazon warehouse with tracking number. Amazon's hassle free return policy means your satisfaction is guaranteed! Make sure you are getting the version in the pic with this post. This has the original 1977,1980,1983 theatrical versions on the SECOND disc. Definitely worth the $80 I pain for it, I got it used but it was in incredible condition. Definitely worth seeing the original unedited versions of classic films. 4.0 out of 5 starsBE CAREFUL!!! This is just an alert since there seems to be some confusion about a trilogy release with the original unaltered versions along with the special editions vs a trilogy set that only contains the special editions and no copies of the original unaltered versions. The reviews for both sets are merged together... that is why you are seeing people claim that it has the original unaltered versions, and people complaining they do not. THIS set that I specifically clicked on to make this comment on is on the 2004 release which DOES NOT CONTAIN THE ORIGINAL UNALTERED VERSIONS. 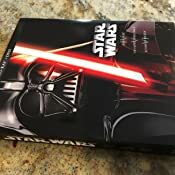 The box image is silver and has Darth Vader's mask on the box. 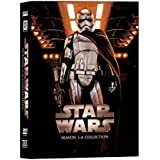 This set ONLY contains the SE along with a 4th bonus disc of making of features and trailers and a sneak peak at episode III. 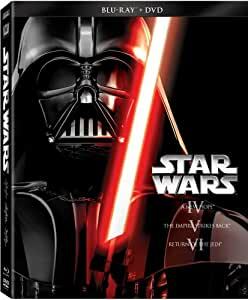 If you want the trilogy set that contains both the SE and the unaltered versions but no bonus features, make sure when purchasing from Amazon, that the picture is a picture of Darth Vader and Luke clashing with light sabers and the box has a lot of blue coloring. It also says IV V VI along the bottom. Scroll down to DVD info and it should say release date: 2008. THAT is the version you are looking for. 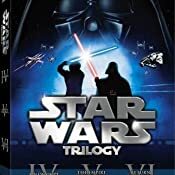 If you place an order on the Trilogy with the Silver box with Darth Vaders mask on it, you are going to get the 2004 release of the trilogy and that's probably not the one you want... This review is going to appear on both sets though... So make sure before you buy, that you are on the correct trilogy page. Check the picture. Check the release date. There are plenty of reviews of the actual product so I'm not going to go into that. Just wanted to clear up some confusion. There are no longer copies available from retail that have the original cuts included anymore. They're out of print. There are no bluray editions and no current editions with the old cuts. You can still find the ones with the original cuts but be prepared to pay a hefty price. 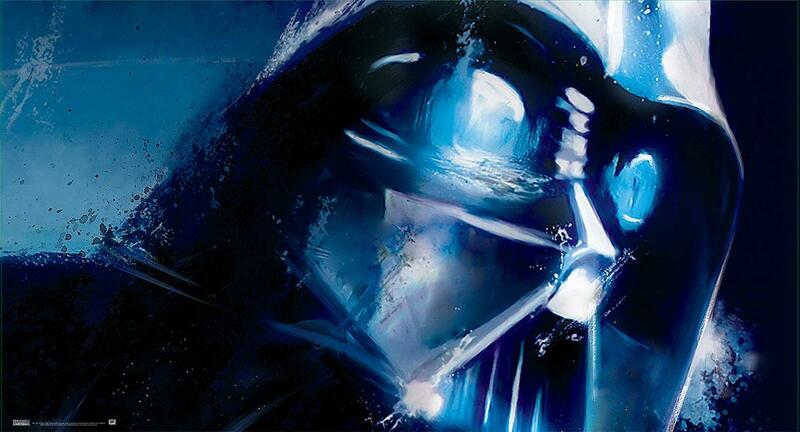 3.0 out of 5 starsNot the "classic" Star Wars trilogy.....no matter what the other reviewers write. 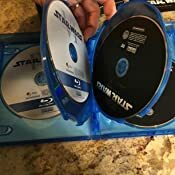 Yes, there are 4 dvds in this set (episodes 4-6 & special features), but none of the films should be described as the "classic" or "original" versions in any of the reviews provided here. All Lucas "improvements" are included on these disks (Wikipedia has a pretty good listing of most of the differences) I am still kicking myself for not purchasing the original unaltered theatrical trilogy released in 2006. Now the only way I've found to get them is to pay top dollar on eBay. Get out your wallet and head there if you are looking for unaltered versions. I should have paid attention to the reviews written about other sets offered here on Amazon. The original theatrical versions aren't available on Amazon. Period. Three starts for prompt, easy ordering and delivery, and the packaging displayed matches what was delivered. 5.0 out of 5 starsWhy less expensive?? Here's the answer! If you're wondering why this is less expensive than other options out there. This comes in one case for all three movies. It has 6 discs - 3 blu-ray and 3 DVDs, but they are all in one case. Not an issue for me, but I was curious about the less expensive price. This is advertised as the theatrical edition, however it is not. There are scenes in these dvd's that are not found in the original theatrical release. This was very disappointing and absolutely not worth the price. My grandson just loved these. He is only 7 so was not exposed to the original Star Wars Episodes. I thought this set, even though it had been redone, was very good. I still don't understand though, why you can't get the original series as they were original done. I'm sure they could enhance the quality without adjusting some of the scenes. Why tamper with a classic? Oh well, my grandchildren still enjoyed them and that's really what matters to me the most. I bought these for my five-year-old son, who is getting into Star Wars, because I couldn't find my copies of the unaltered original trilogy. What can I say? 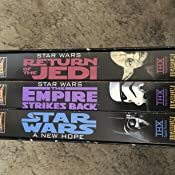 This is the original three Star Wars films. That alone should make this rating be five stars . . . except these are the "enhanced" editions with George Lucas' tweaks and additions. While distracting--especially to someone like me who grew up watching the un-enhanced versions--they don't ruin the movies themselves. Not how I didn't say "ruin." Some of these additions--particularly in the first film--do affect the pacing (I'm thinking of the Jabba scene in Episode IV), and can be jarring. George: You caught lightning in a bottle not once, not twice, but THRICE. You should've left these alone, man! But at the end of the day, you get DVD and BluRay versions of Star Wars, Empire, and Jedi. You can't go wrong. The video quality looks extremely good, there are some controversial changes I don't like such as Hayden Christensen appearing at the end of Return of the Jedi, but it's worth buying if you are a huge fan of Star Wars. If you feel bad about stealing, just buy this Blu-ray trilogy so you won't feel bad about downloading the Despecialized Edition from torrent sites. You are paying for the movies so it's only fair you can download the version you prefer to watch that is no longer available (at least not yet).